Sadiq Khan has been officially declared the winner of London’s mayoral elections. The Labor MP of British-Pakistani origin gained 57 percent of the vote, beating his Conservative Party opponent, Zac Goldsmith, who received 43 percent. “I promise to always be a mayor for all Londoners, for every Londoner, regardless of your background,” said the newly-elected mayor in a victory speech. He also referred to his immigrant roots, mentioning his father Amanullah Khan, who came to Britain from Pakistan. “He would have been so proud that the city he chose to call his home has now chosen one of his children to be the Mayor,” Khan said as quoted by ITV. Since the total vote count did not determine the winner, as neither of the candidates secured more than 50 percent of the vote (gaining 44.2% and 35% respectively), the second preference vote was enacted. Londoners were able to choose two candidates at the ballot box, selecting a preferred candidate in the paper’s column A and their second preference in column B. The practice is known as the Supplementary Vote system and used to elect mayors in England and Wales. If no candidate receives more than fifty percent of the vote, the second choice is counted, thus eliminating the need for a run-off election. 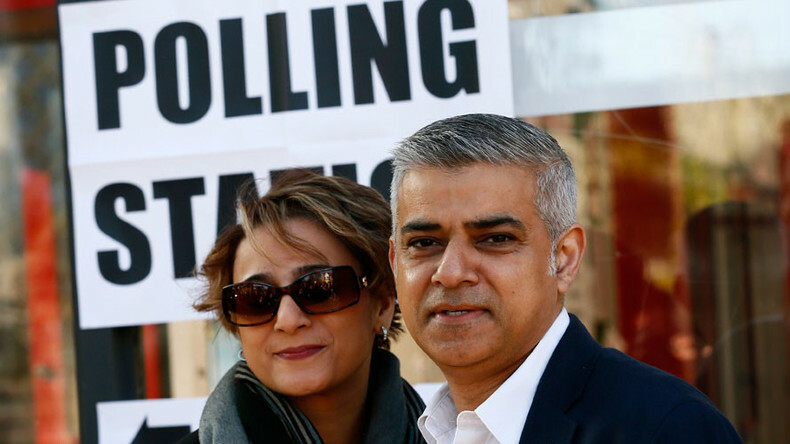 Khan took 1,310,143 votes, as opposed to Goldsmith’s 994,614. Nine out of the 14 constituencies in London went to Labour, with the Conservatives trailing behind with five. Labour leader Jeremy Corbyn congratulated his colleague in a message on Twitter, alongside the trending hashtag #YesWeKhan. Conservative rival Zac Goldsmith had been accused of conducting a “dirty” campaign in which he tried to associate Khan with Muslim extremists. Former Conservative Party chairperson Sayeeda Warsi described the Tory’s bid to hold on to London’s City Hall as an “appalling dog whistle campaign” that appeared to center on race and religion. Even Goldsmith’s sister, journalist Jemima Goldsmith, appeared to criticize his tactics. An official announcement at City Hall confirming the full details of Kahn’s win is imminent. Khan is now widely seen as the most powerful Muslim in Britain, with a budget of £17 billion to spend on the capital for policing, transport, planning and the environment. The son of a bus driver has pledged to support businesses in London and change planning rules to help increase the number of affordable homes. Supporters of Khan have already begun tweeting congratulations to the new mayor. Zac Goldsmith runs a sleazy, shameless, anti-Muslim campaign against Sadiq Khan - and loses. Good lesson for future Conservative politicans. Historic victory for @SadiqKhan. Becomes only the 3rd person to be directly-elected mayor of London, perhaps the greatest city in the world. Congratulations to #SadiqKhan ... History in making. Labour MPs also praised Khan for his new role. Meanwhile critics of Zac Goldsmith and his campaign are calling for him to resign as MP for Richmond Park and North Kingston.